CrazyBulk Anvarol Review | Buy or a Scam? Anabolic Steroids are high in side effects (both short and long-term) and illegal, but many bodybuilders still seek them out to build more muscle than they could on their own. Legal Steroid Alternatives, which often use plant-based ingredients, are becoming increasingly popular for those who want to maximise their muscle mass gains without experiencing the unpleasant side effects of Anabolic Steroids. But, do they work? Below we take an in-depth look at CrazyBulk Anvarol, to see what benefits this supplement offers consumers. CrazyBulk Anvarol is advertised as a legal alternative to Anavar, an anabolic steroid. It contains a small amount of protein and BCAAs, as well as yam and Peak ATP. The manufacturers state that it will help burn fat, preserve lean muscle mass whilst cutting, improve muscle hardness and density, and increase strength and power output. What Are The Side Effects Of CrazyBulk Anvarol? 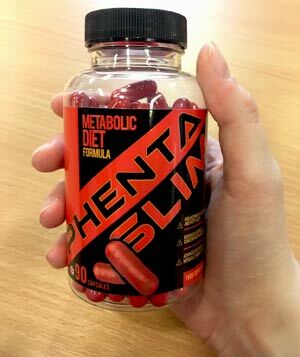 The manufacturers of CrazyBulk Anvarol claim that this supplement (and all of their other legal steroid alternatives) has no side effects at all as the ingredients come from natural sources. However, some of the ingredients could potentially cause some side effects. Potential side effects include nausea, headaches, changes in blood pressure, vomiting, and diarrhoea. How Much Does CrazyBulk Anvarol Cost? 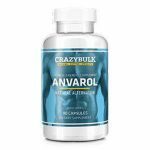 CrazyBulk Anvarol can be bought from the official Crazy Bulks website, where a single bottle costs $54.99. Three bottles cost $109.98, using a buy two get one free offer; this offer appears to be mix and match, with the cheapest product free. The company offers free shipping worldwide. Each bottle contains 90 capsules, which provides a 30-day supply. We have a mixed opinion of Anvarol. We think that it is great that products are being developed as a safer alternative to anabolic steroids, as they have been proven to be dangerous and the cause of many side effects, including liver damage. However, we are not convinced that this supplement is as effective as the manufacturers claim; Peak ATP does appear to help increase strength and could enable consumers to build more muscle mass as a result. However, the BCAAs and protein sources found in this supplement are woefully underdosed. The manufacturers also fail to provide enough information about the Yam used in this supplement; there are numerous active compounds in Yam, some of which are totally ineffective when supplemented. It is not even clear whether the ingredient is an extract or not. Despite the claims of the manufacturers, the product is not totally side effect free. Obviously, the product is much safer than the steroids it has been designed to replace, but the claim that it is completely free from side effects is not accurate. The product is not covered by a money-back guarantee. It is also quite an expensive supplement, with a 30-day supply costing $54.99. The manufacturers also encourage consumers to stack numerous products from their range together; whilst taking three or four products together is likely to produce more dramatic results, it adds support to the idea that Anvarol is not as strong as the manufacturers claim. Overall, we do not recommend CrazyBulk Anvarol to our readers. CrazyBulk Anvarol is a legal steroid-alternative designed to replicate the results of Anavar, without the side effects and dangers. 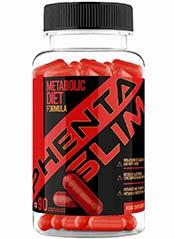 The supplement is advertised as being suitable for supplementation for both men and women. The manufacturers state that it will help burn fat, preserve lean muscle mass whilst cutting, improve muscle hardness and density, and increase strength and power output. Take three (3) capsules with water approximately 15 minutes after your workout. For best results, use for a minimum of 2 months. What Does CrazyBulk Anvarol Claim To Do? CrazyBulk describes Anvarol as a safe, effective and legal alternative to Anavar, an anabolic steroid. They state that it provides explosive power and strength, incinerates fat, and helps to preserve lean muscle when cutting calories. Other benefits include improved muscle hardness and density, and enhanced vascularity. For some of the ingredients found in CrazyBulk Anvarol, there is more misinformation available than actual information from clinical trials. Yam contains a number of different compounds that could have a range of effects upon the body, in theory. It is impossible to know if any of these compounds are actually in this supplement, as the yam does not seem to be standardised at all. Even if they were present, the claims of increased muscle building, increased strength and increased muscle mass are all based on anecdotal evidence, animal studies and guesswork. The body seemingly lacks the ability to convert diosgenin into DHEA, and so taking for this purpose is pointless. Whey protein and soy protein are both good options for people who are looking to supplement their protein intake to help to boost their muscle mass gains, but the amounts found here are not enough to help fuel increased muscle mass gains. Similarly, BCAA can help to preserve muscle mass during phases of weight loss, but again the quantities need to be larger than those found here for maximum impact. Finally, PeakATP does seem to be able to increase total strength, power, lean body mass, and muscle thickness, in some cases quite dramatically. However, we are taking the results of the supporting studies with a pinch of salt as they were all funded by the company selling PeakATP; we really would like to see some independent studies showing similarly promising results before we jump fully onto the PeakATP bandwagon. We aren’t convinced that this supplement offers the incredibly dramatic results described by the manufacturers, but it could offer some benefits, is certainly safer than an anabolic steroid alternative, and at the very least could help to keep your cholesterol levels in check. What Are The Ingredients of CrazyBulk Anvarol? The ingredients found in CrazyBulk Anvarol are detailed below. The ingredient quantities listed are per serving of three capsules. Does CrazyBulk Anvarol Have Any Side Effects? Compared with the potential side effects that can be caused by the steroid Anavar, the side effects that can be caused by CrazyBulk Anvarol are definitely on the less serious side. However, that does not mean that the supplement is totally side effect free, as the manufacturers claim. Side effects associated with BCAAs are rare and are usually not serious. They can include nausea, pain and headaches. BCAAs can affect blood sugar levels, and so diabetics should consult their doctor before taking this supplement. Those taking medication should also check with their doctor to ensure that their BCAA supplement does not interact with it adversely, as this can happen. Wild Yam supplementation can cause nausea, headaches, vomiting, and diarrhoea. Adenosine supplementation is generally well tolerated, but can cause breathing problems, chest pain, nausea, sweating, flushing, lightheadedness, sleep problems, coughing, anxiety, headache, low blood pressure, and heart pounding. It can also slow the heart rate, and so should not be combined with medications that are intended to regulate heart rate. It is not suitable for anyone who has any cardiac related health issues. Not suitable for pregnant or breastfeeding women. Not suitable for anyone under the age of 18. Not suitable for anyone with any cardiac issues, including high or low blood pressure. If you are taking any medications, consult your doctor before purchase. If you are unsure about the suitability of this supplement for you, consult your doctor before purchase. Are There Any Customer Reviews For CrazyBulk Anvarol? There are numerous customer reviews for CrazyBulk Anvarol on the official sales website. I’ve been using anvarol for about a month now and also stacked it with winsol for the last few weeks, and I must say that as a supplement to my already intense training and clean eating, the results I’ve gotten so far have been amazing. I’ve lost an inch around my waist in the last week alone. The only complaints that I have are the fact that none of my clothes fit as well, and my appetite is gone, making it hard to eat even after a workout that I would normally be starved after. I can’t wait to see even more results. Omg I absolutely love anvarol. I have energy, crazy strength, and awesome results, and I haven’t even finished one bottle!!!! Also no crazy side effects!….first time I have ever had abs in my life and I’ve only been working out 3 months. Thanks crazybulk. Does CrazyBulk Anvarol Offer a Money-Back Guarantee? There is no money-back guarantee offered for CrazyBulk Anvarol. The returns policy offered by the manufacturers only covers 14 days after the order date, and they only accept unopened items for refunds. 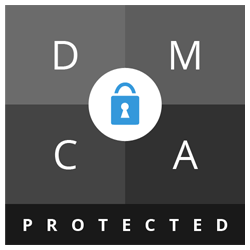 Customers can e-mail [email protected] to arrange a refund. Where Can I Buy CrazyBulk Anvarol? 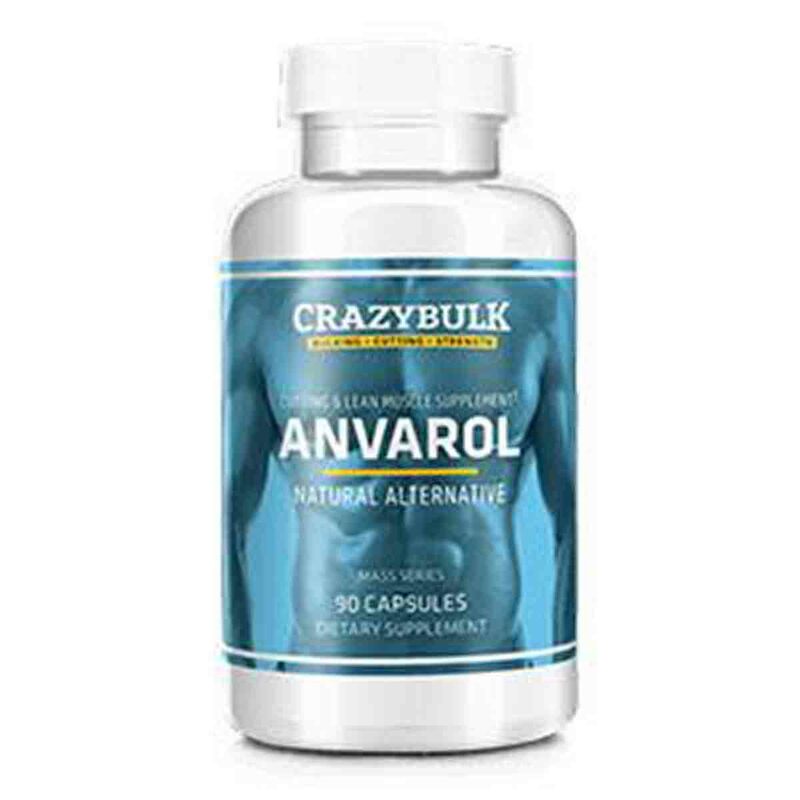 CrazyBulk Anvarol can be bought from the official Crazy Bulks website, where a single bottle costs $54.99. Three bottles cost $109.98, using a buy two get one free offer; this offer appears to be mix and match, with the cheapest product free. The company offer free shipping worldwide. How does CrazyBulk Anvarol compare to Phentaslim? The Diet Pills Watchdog does not recommend CrazyBulk Anvarol.